Gregory A. Houser, 66, of LaFontaine, Indiana, passed away at 4:45 p.m. on Saturday, November 24, 2018 at Wabash Parkview Hospital. He was born in Bryan, Ohio on February 17, 1952 to Linford Houser and Joan (Durr) Poe. Greg retired from Ford Meter Box with over forty years of service. 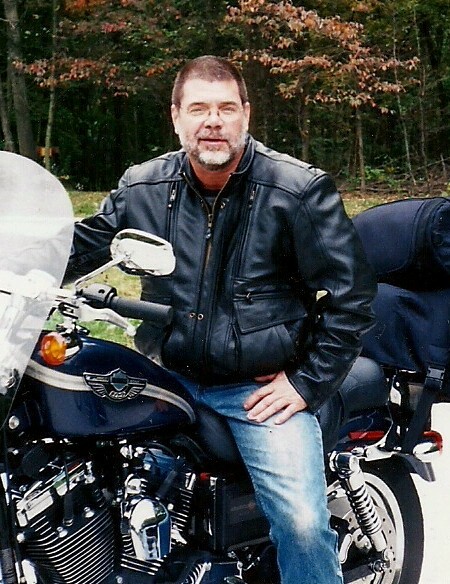 He loved restoring cars and riding motorcycles. Greg was an outdoorsman and loved to fish. Greg is survived by sons, Todd (Tammy) Houser of Elkhart, Jeremy (Brandy) Houser of LaFontaine and Travis Houser of Fort Wayne; daughter Amber (Larry) Brown of Warsaw; siblings, Denny (Val) Houser and Neil (Cindy) Houser, both of North Manchester; thirteen grandchildren and five great-grandchildren. He is preceded in death by his parents and one brother, Mike Houser. A memorial service will be held at 3:00 p.m. on Saturday, December 1, 2018 at McDonald Funeral Home, LaFontaine Chapel, 104 South Main Street, LaFontaine, Indiana 46940. Pastor J.P. Freeman will be the officiant. Friends may call two hours prior to services at the funeral home. Preferred memorials are to the LaFontaine Lions Club, 105 West Branson Street, LaFontaine, IN 46940.